The above is not really a surprise. The meeting will probably allow Barack Obama to keep his word and discuss how flexible he wants to be in cutting the USA nuclear arsenal as well as other defense cuts that Barack Obama’s Administration intends to make. 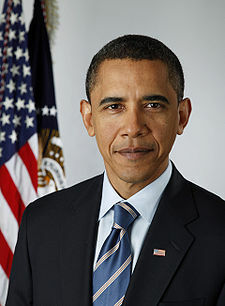 The current “fiscal cliff” that the USA faces on January 1, 2013 includes massive cuts in US military spending unless resolved by Barack Obama and Congress in the next several weeks. The USA Defense Secretary Leon Panetta has warned about the dangers of these cuts as and referred to them as “doomsday” (‘Doomsday’ Defense Cuts) and “unthinkable” (Panetta Weighs Unthinkable Defense Cuts) and yet they may well happen. And it is likely that Barack Obama agrees that many cuts should happen. The smaller the USA defense budget, the easier it is for Russia (and others) to be able to have a more comparable military. And modernization of Russia’s military has long been an objective of Vladimir Putin (Russia’s Military Modernization: Who Will Be Attacked?). It was reported back in September 2012 that Vladimir Putin wanted Barack Obama to be re-elected (see Russian Press Reports Why Putin Likes Obama Over Romney), and he got his way. Russia plays a prominent role in certain end time prophecies, and Vladimir Putin has made many public statements consistent with what the Bible suggests will happen to Russia (see, for example, Putin Returns to Russia’s Presidency And Has Prophetic Goals). Those in the USA and Canada should realize that the Bible suggests that Russia plays a role in prophetic events years after the USA is defeated (cf. Daniel 11:39,44-45). Will the likely meeting between the presidents of Russia and the USA facilitate this? It would seem so. This entry was posted on Wednesday, November 14th, 2012 at 7:06 am	and is filed under Prophecy.